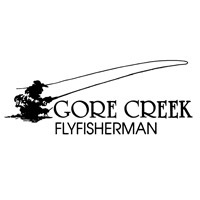 Gore Creek Fly Fisherman has been offering guided fly-fishing trips and fly-fishing products to the public for over 30 years and is the Vail Valley's oldest fly-fishing shop and most prominent guide service in Vail, Beaver Creek, and Avon, Colorado. The vast fly-fishing knowledge of staff and guides covers numerous rivers including the Eagle River, Gore Creek, the Colorado River, the Roaring Fork River, the Yampa River as well as high-country streams and lakes. This translates into unparalleled accessibility to the best fishing anywhere with guides that will take your fly-fishing experience to another level.